Frances Shani Parker appeared on the Aging With Grace show with host Particia Grace to talk about issues related to taking care of aging parents, hospice, and the challenges faced by urban minorities in end-of-life care. Frances Shani Parker is a writer, consultant, and hospice volunteer. Her writing has won awards from Writer’s Digest, the Poetry Society of Michigan, the Detroit Writer’s Guild, Broadside Press, and the New Orleans Public Library. Among publications including her work are Black Arts Quarterly (Stanford University), Warpland: A Journal of Black Literature and Ideas (Chicago State University), and Voices of the Civil Rights Movement (AARP). Among venues at which her poems have been read are the International AIDS Conference in South Africa and “Artists Among Us,” sponsored by the Michigan Wayne County Council for Arts, History, and Humanities. Becoming Dead Right: A Hospice Volunteer in Urban Nursing Homes is the captivating account of Frances Shani Parker’s hospice volunteer experiences in Detroit nursing homes. Stories, general information, and poems explore hospice care, urban nursing homes, caregiving, dementia, and disparities in healthcare. Pain management, death preparations, bereavement, and strategies for improving healthcare and nursing homes are also examined. This groundbreaking book has several national endorsements. “Becoming Dead Right” is published by Loving Healing Press and is available at Amazon.com., Barnes and Noble bookstores, the National Hospice and Palliative Care Marketplace, and other booksellers. Craig Fahle of WDET-FM’s Detroit Today spoke with author and geriatric care activist Frances Shani Parker about the realities of life in an urban nursing home. Parker is author of the new book Becoming Dead Right: A Hospice Volunteer in Urban Nursing Homes and is eager to share her 10+ years experience as a volunteer and what we can all do to make the hospice experience better for everyone. 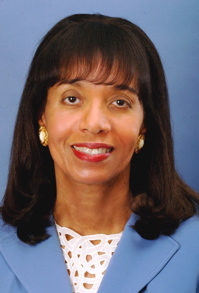 Frances Shani Parker is a writer, consultant, and hospice volunteer. Her writing has won awards from Writer’s Digest, the Poetry Society of Michigan, the Detroit Writer’s Guild, Broadside Press, and the New Orleans Public Library. Among publications including her work are Black Arts Quarterly (Stanford University), Warpland: A Journal of Black Literature and Ideas (Chicago State University), and Voices of the Civil Rights Movement (AARP). Among venues at which her poems have been read are the International AIDS Conference in South Africa and “Artists Among Us,” sponsored by the Michigan Wayne County Council for Arts, History, and Humanities.A former school principal, Parker has had essays and poems published in the educational arena, particularly on service learning, a teaching and learning method that connects classroom learning with meeting community needs. She has been honored as “Outstanding Educational Administrator” by the Metropolitan Detroit Alliance of Black School Educators and “Educator of the Year” by the Wayne State University Chapter of Phi Delta Kappa, an international, professional fraternity for educators. Jacqueline Marcell interviews David W. Powell, author of My Tour In Hell: A Marine’s Battle with Combat Trauma on Coping With Caregiving airdate 12/08/2007. He’s been a guest on programs such as “The Pentagon Channel” and “Retirement Living TV Network.” David served as a rocket man with the US Marines in Vietnam from 1967 to ’68 and subsequently suffered for two decades with Post Traumatic Stress Disorder. Now his mission is to educate people about the effects of PTSD and how to find help. Upon returning to civilian life after a two year enlistment in the Marines, David found himself with nightmares during sleep, intrusive thoughts while awake, a hypervigilant stance combined with an exaggerated startle reaction, and a seeming inability to control basic emotions like anger and sadness. The price he paid for what would only be diagnosed decades later as Post-Traumatic Stress Disorder was broken marriages and relationships, inability to hold a job, uncontrollable rage, and finally bankruptcy. David’s journey of redemption will be inspirational to anyone who is a veteran or has a loved one who has served. Juanita Watson of InsideScoopLive interviews Dirk Chase Eldredge, author of You’ve Gotta Fight Back! Winning with Serious Illness, Injury, or Disability. Dirk’s latest book features thirteen in-depth profiles of other people’s medical adventures that had life-altering affects for those involved: patients, their families, friends, and caregivers. Some lived on. Some died. All left a priceless legacy of lessons on how to make the most of the hand one is dealt. While far from autobiographical, the book is buttressed by Eldredge’s experience recuperating from eight major surgeries including two open-heart operations.Listen to the PodCast! The seriously ill, their friends and family will gain priceless advice on coping, dealing with depression, how to partner with the medical profession, the tremendous value of self-help groups and the vital importance of attitude. Those with disabilities will learn how others have successfully played the hand they were dealt and managed to live successful, fulfilling lives. The disabled and those with serious illnesses can learn from each other. There are no silver bullets buried in these pages, just the sound, useable experience of others. Caregivers, be they family, friends, or health professionals will gain great insight from the in-depth stories of survivors, the bereaved, and those who died with grace and even style. The heart of this book consists of thirteen, riveting, in-depth stories of people who fought back with courage, humor, and a positive attitude. In doing so, they have provided valuable guidance for you, the readers of this inspiring work. Sue Vogan interviews Oleg Reznik, M.D. on The Secrets of Medical Decision Making: How to Avoid Becoming a Victim of the HealthCare machine. We are all patients at some time. Is the medical industry giving us the best treatment possible, at the best price? We all know that it isn’t. This new book shows what goes on behind the scenes of the current medical care and how it impacts the patient. 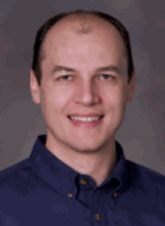 Dr. Reznik is an instructor at OHSU department of family medicine. He provides a full spectrum of general medical care at the OHSU Richmond Clinic. He cares for adults, children, and to do low-risk obstetrics. Reznik has admitting privileges at the OHSU University Hospital’s medical, intensive care, pediatric, and obstetrical units.His strongest and most profound interest is in mind-body medicine, specifically, phenomenology and mental imagery. I am certified by The American Institute of Mental Imagery and run Mind-Body Medicine Clinic at OHSU Richmond Clinic. Frances Shani Parker, author of Becoming Dead Right: A Hospice Volunteer in Urban Nursing Homes talks with Author’s Audio host Jake Steele about the challenges of eldercare in institutions such as nursing homes and hospice. Her book is the captivating account of Frances Shani Parker’s hospice volunteer experiences in Detroit nursing homes. Stories, general information, and poems about patients and health care familiarize readers with the nursing home world, dementia, pain management, disparities, death, rituals, bereavement, and “how to” information on caregiving. Improvements needed in hospice and nursing homes are also examined. This groundbreaking book, published by Loving Healing Press, is available at this Web site, Amazon.com., Barnes and Noble, and other booksellers.